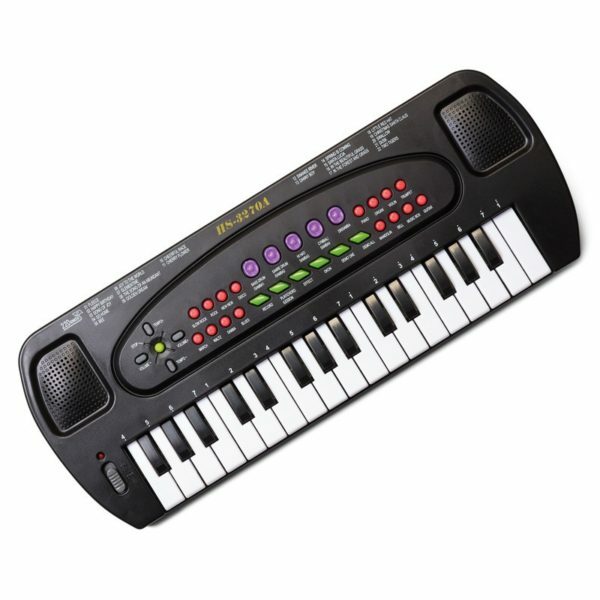 This electronic keyboard makes a perfect first instrument for small children. The 32 keys allow the development of visual and auditory memory, as well as fine motor skills. It’s packed with different functions and sounds, including violin, guitar, trumpet and many more. There’s even a record function, so that any tunes can be played back later. Plug in the microphone and you can sing along to either your own song or one of the 22 preloaded tunes.